Sold by: Olympia Industries Ltd.
Sold by CloudNine India (4.6 out of 5 | 600 ratings) and Fulfilled by Amazon. Gift-wrap available. Usha striker platinum goodbye dust ceiling fan comes with hydrophobic feature (water resistant) and oleo phobic property (oil resistant ) which attracts lesser dust . Additional feature is that it is easy to clean and required less frequent cleaning. Therefore it improves overall hygiene. This provides new look to the fan with every clean. Usha International Ltd, a constituent of the Siddharth Shriram group, was formed in 1934 and started doing business under the brand name, Usha. 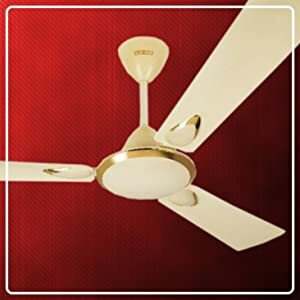 Over the decades, this brand name has become a household name in India while the company has diversified into the business of new age kitchen and home appliances, sewing machines, fans, power products, water coolers and modern farm equipment. 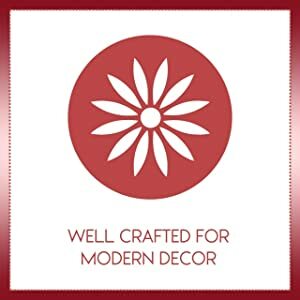 Beautifully Crafted for the Modern Decor! The striker series fans are a blend of alluring aesthetics combined with superior performance, creating a unique style statement for the customer. 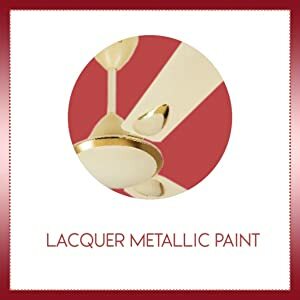 Lacquer metallic paint on the body imparts superior finish and unparalleled appearance to the product. 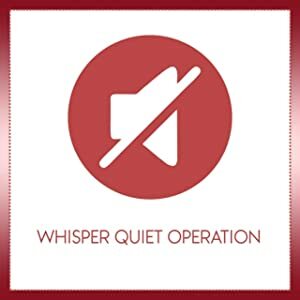 Durable and Whisper Quiet Operation! 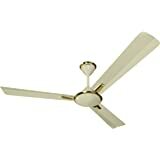 The fan is equipped with V2 grade ball bearing sophisticatedly designed to minimize friction and power loss, thereby generating a whisper quiet operation with remarkably reduced noise. Moreover the superior grade electric steel lamination used in the construction of the stator, bestows long life and durability to the fan. 240 CMM high air delivery rate. 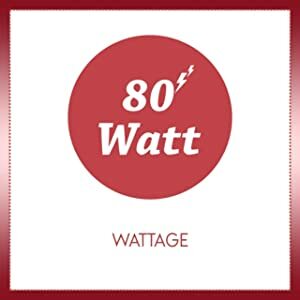 Consumes only 80 W power. 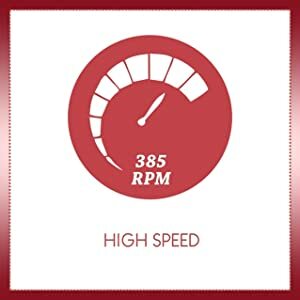 Delivers air at 385 RPM high speed. The fan comes with hydrophobic (water resistant) and oleo phobic property (oil resistant) which attracts lesser dust. These fans comprise of blade geometry, aerodynamically designed to maximize air movement resulting in more air velocity thereby generating high speed of 385 RPM with high air delivery of 240 CMM. V2 grade ball bearing for whisper-quiet operation and durability. The striker series fans are a rare blend of alluring aesthetics combined with superior performance, creating a unique style statement for the customer. This ceiling fan performs well even at low voltage. 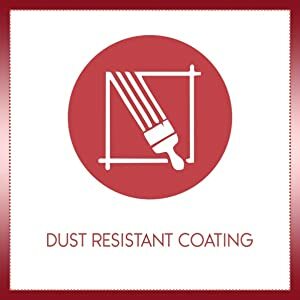 3.0 out of 5 starsAn ok product. Avgerage looking product, less attractive design, build quality is average. I bought this fan from retail store and not Amazon. Have been using this for 3 years now without any problem. This has been fantastic experience, go for it. 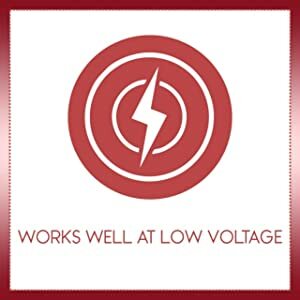 4.0 out of 5 starsThe product is good. But the price in Amazon is higher than market. I link the fan. 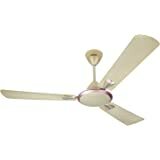 But i got the same fan with 2050rs from local market.